The Samsung Galaxy J1 (SM-J120F) User Manual consist of 98 pages with file size of 5.85 MB. The manual provide detail reference information such as learn device layout, Installing the SIM or USIM card and battery, Installing a memory card, Turning the device on and off, Locking and unlocking the screen, Using the touch screen, Using the notifications panel, Power saving feature. Then about Using the mobile hotspot, Setting wallpaper and ringtones on page 39, using mssages, contacts, using camera, tutorial shooting video, using internet, Google apps, mobile printing guide, Upgrading with Samsung Kies on page 75, Backing up and restoring data, Performing a data reset. 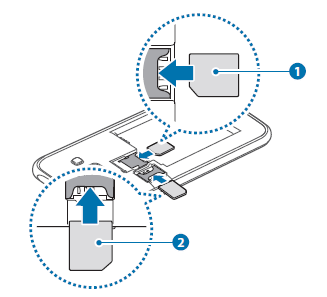 Other important information in the Samsung Galaxy J1 user guide such as phone settings guide and troublehsooting for example Your device does not turn on, The touch screen responds slowly or improperly, Your device freezes or has fatal errors, The battery depletes faster than when first purchased, Error messages appear when launching the camera, Another Bluetooth device is not located, Data stored in the device has been lost and more.